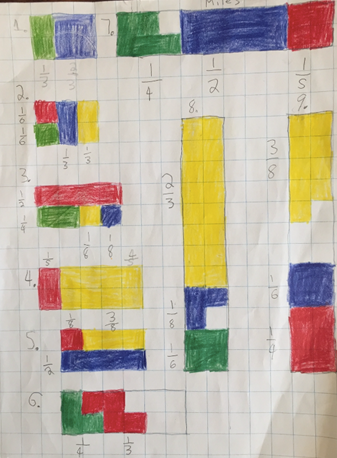 Editor's Note: Ms. Couto's 3rd Grade class investigated fractions by representing them as colors in rectangles. 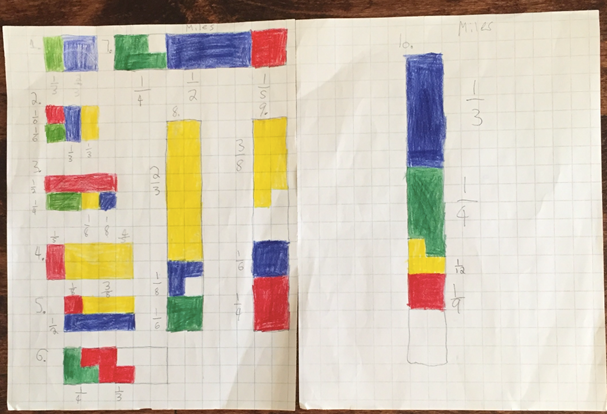 ​Use graph paper to design rectangles (no other shape permitted) with the smallest possible area reflecting each of the following fractional division. 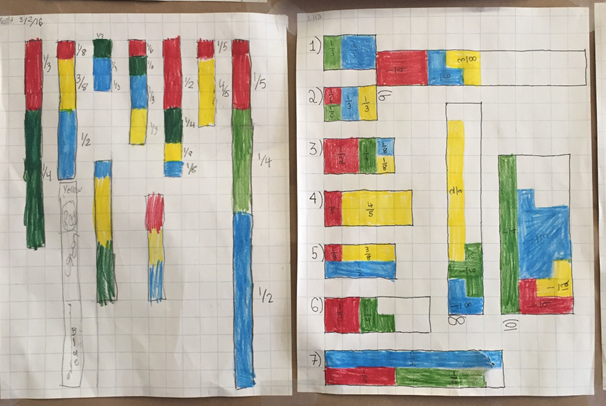 You may not divide individual squares on the graph paper, and all rectangles must be at least two squares wide. 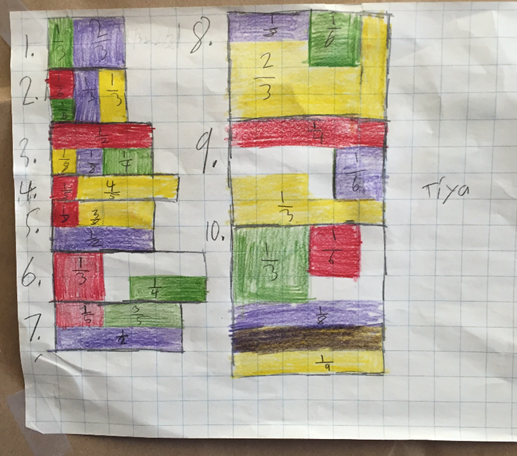 Use colored pencils or crayons to color in your designs, and write the fraction description next to the rectangle. 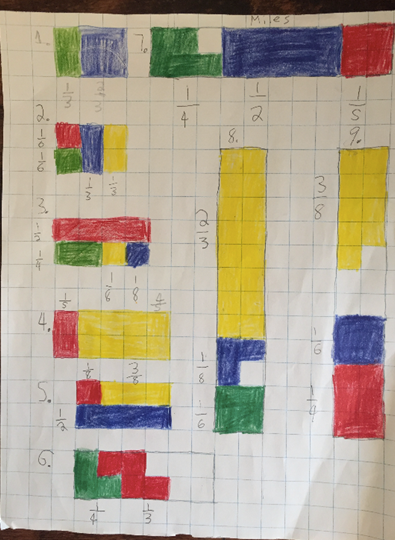 There may b white (uncolored) squares in your rectangle to make it the proper shape!